At Back Office Pro (BOP), we pride ourselves on being the most highly sought-after outsourcing provider for quality Photoshop editing services. If you want to outsource Photoshop editing to India, BOP is happy to assist with a client-friendly engagement model and a skilled workforce to hire on ad-hoc or FTE basis. Often, hiring and training additional employees for a short or seasonal project is not feasible for many organizations. Being an outsourcing service provider for two decades now, no one understands that better than BOP. We provide a highly affordable, flexible solution. 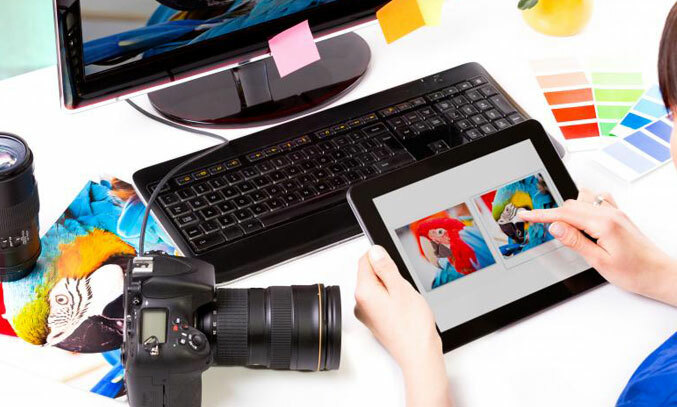 Armed with decades of collective experience and backed by the positive reviews of thousands of clients, our design professionals are capable of handling Photoshop editing projects of any size or scope at the best price. Minimum 3-year degree or suitable related qualification specializing in design, art, media, or marketing. At least 4 years of on-the-ground experience in graphic design or similar. Several years of experience working with the full host of Adobe Creative Cloud applications with a particularly strong affinity for Photoshop. Proficient in the use of various Adobe Photoshop CS6 plug-ins, including LightMachine, ColorWasher, and PTLens. Outstanding design and conceptual sensibilities. Extremely well-versed in photo retouching and manipulation of products, people, animals, objects, etc.). In-depth understanding of typographic, photography, and illustration principles. Our Photoshop experts are experienced at creating hand drawn clipping paths. They also provide multiple clipping paths for photo retouching and color correction. We can remove backgrounds from any images, transforming them into the transparent, white, or solid color background of your choice. Color correction service involves adjusting images to balance out excess color, white balance, shadows, brightness, contrast, temperature, hues, and similar design elements. Our teams are highly adept at removing scratches, blemishes, spots, and dust marks from old photos and restoring them to their former glory using Adobe Photoshop. At BOP, we eliminate red eye, blemishes, shine, shadows, and other undesirable elements from photographs, giving them a more refined air. Our team is highly adept at natural layer masking, transparency masking, and alpha channel masking. These techniques assist in creating a more lifelike feel. We clip and crop photos according to the client’s unique specifications and can also align or rotate the images with ease. We take care of unclear or grainy images by reducing noise and transforming each image into something eye-catching and captivating. Our artists are able to composite photos, merging different elements from a variety of pictures for a highly emotive effect. All of our team members have far-reaching knowledge of all the previous versions of Adobe Photoshop. We keep a finger on the pulse of any advancements in the industry, ensuring that our editors and artists are highly capable of working with the latest version of Photoshop (CS6). We are able to handle a wide range of formats including RAW, JPEG, TIFF, EPS, PDF, BMP, GIF and PS. We offer round-the-clock availability, with support staff that is ready to tackle any query at any time. Our teams are scalable, ensuring that you can have as many or as few resources on the job at any given point in time. We offer unparalleled data security. We adhere to GDPR rulesets, helping us to earn an ISO/IEC 27001:2013 certification. At Back Office Pro, we’re committed to ensuring that you receive the best possible quality service every step of the way. Our Photoshop experts are extremely dedicated to their work; providing customers with a highly desirable result every time. Reach out to us via our online form, and we’ll get back to you within one business day. We’ll be sure to discuss your expectations in fine detail, capturing your ideas to the best of our ability.